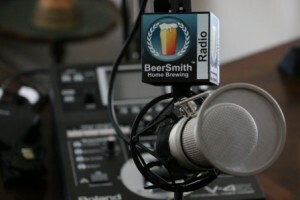 Today my guest is Gordon Strong, who is a Grandmaster BJCP beer judge and author of the books Brewing Better Beer and Modern Homebrew Recipes (Amazon affiliate links). We discuss some of Gordon’s recent travels as he’s sampled home brewing around the world. Gordon tells us about his trip to New Zealand including exploring some of the hop growing and processing areas there. He tells us about New Zealand Pilsner which is a unique local style of beer he enjoyed. We talk about his new brewing system from Blichmann and his experiences brewing on it. Gordon shares some of the things he learned on a recent trip to Brazil and some of the interesting brewing ingredients there. He tells a story of a brewer in Brazil using some of Gordon’s recipes. Gordon shares some of his closing thoughts. Cool to see Gordon and Brad!